The New York Historical Society's collection of landscape paintings by 19th century American artists takes a trip to the West Coast. 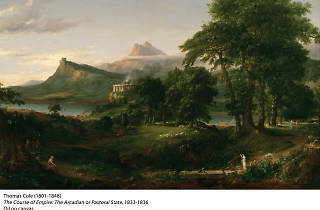 The Hudson River School is regarded the first major cultural movement in American art history and it's characterized by sumptuous depictions of nature using traditional painting techniques. Works by the Hudson River School artists reflected how captivated the nation was by the American landscape and nature at the time. 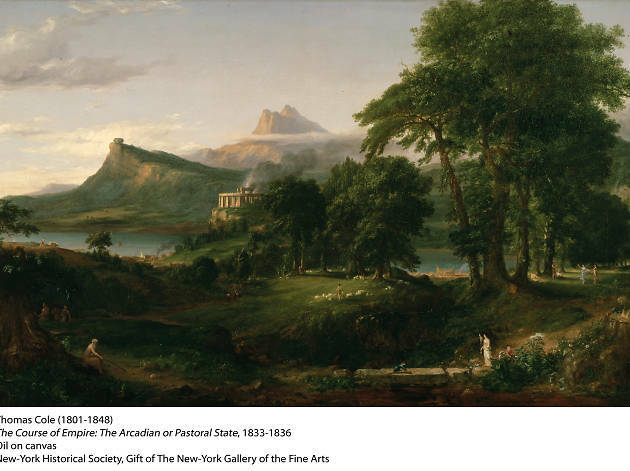 See 45 paintings by 23 artists including Thomas Cole, Asher Brown Durand, Louisa Davis Minot and more, including all five paintings in Cole's The Course of the Empire series. This is a specially ticketed exhibition. Reserve yours by clicking here.